America is NUMBER ONE!!! But unfortunately, we’re just number one in anti-competitive taxes, pseudo-scientific obstructionism and costly regulations that all guarantee we’ll never be number one in much else ever again. This April Fool’s Day, the joke is on all of us. That’s because as of April 1, the U.S. now has the highest corporate tax rate in the developed world. 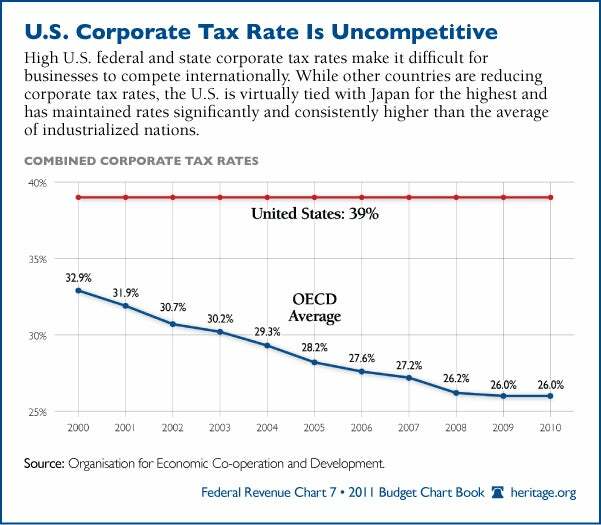 Our high corporate tax rate has long made the U.S. an uncompetitive place for new investment. This has driven new jobs to other, more competitive nations and meant fewer jobs and lower wages for all Americans. Other developed nations have been cutting their rates for over 20 years. The U.S. did nothing. The U.S. was at least able to stay out of the top spot until now, because Japan had also failed to get its corporate tax rate in line with other more competitive nations. But Japan has finally seen the light and reduced its rate as of April 1. Japan’s rate was 39.5 percent. That was just barely ahead of the U.S. rate of 39.2 percent (this includes the 35 percent federal rate plus the average rate the states add on). Japan’s rate now stands at 36.8 percent after its recent cut. The U.S. rate is well above the 25 percent average of other developed nations in the Organization for Economic Cooperation and Development (OECD). In fact, the U.S. rate is almost 15 percentage points higher than the OECD average. This gaping disparity means every other country that we compete with for new investment is better situated to land that new investment and the jobs that come with it, because the after-tax return from that investment promises to be higher in those lower-taxed nations. Our high rate also makes our businesses prime targets for takeovers by businesses headquartered in foreign countries, because their worldwide profits are no longer subject to the highest-in-the-world U.S. corporate tax rate. Until Congress cuts the rate, more and more iconic U.S. businesses such as Anheuser-Busch (which was bought by its Belgian competitor InBev in 2008) will be bought by their foreign competitors. To get back in line with international norms, Congress needs to reduce the rate so the combined federal and state rate matches or falls below the OECD average. 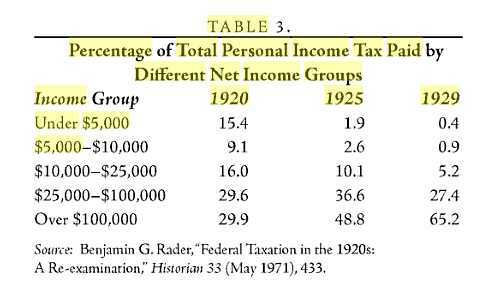 Some will contend that with deficits north of $1 trillion annually, we simply can’t afford such a large rate reduction. But the actions of the nations we compete with for new investment show that these nations understand that lowering the corporate tax rate is necessary because of the boost to economic growth it provides. The United Kingdom, for instance, is in as perilous fiscal situation as the U.S. However, the U.K. reduced its rate in 2011 from 28 percent to 26 percent. Chancellor of the Exchequer George Osborne recently announced that the U.K. would further cut its rate to 22 percent by 2014 to increase competitiveness. Congress needs to cut the corporate tax rate to make the U.S. a more hospitable place for investment. The time for excuses is over. Until it does, every day will be a cruel joke. You can reward wise practices or you can punish them. You can reward individual initiative or you can punish it. Obama is the latter even though the former is far and away the best for society. Utopianism also finds a receptive audience among the society’s disenchanted, disaffected, dissatisfied, and maladjusted who are unwilling or unable to assume responsibility for their own real or perceived conditions but instead blame their surroundings, “the system,” and others. They are lured by the false hope and promises of utopian transformation and the criticisms of the existing society, to which their connection is tentative or nonexistent. Improving the malcontent’s lot becomes linked to the utopian cause. Moreover, disparaging and diminishing the successful and accomplished becomes an essential tactic. No one should be better than anyone else, regardless of the merits or value of his contributions. By exploiting human frailties, frustrations, jealousies, and inequities, a sense of meaning and self-worth is created in the malcontent’s otherwise unhappy and directionless life. Simply put, equality in misery – that is, equality of result or conformity – is advanced as a just, fair and virtuous undertaking. Liberty, therefore, is inherently immoral, expect where it avails equality. Equality, in this sense, is a form of radical egalitarianism that has long been the subject of grave concern by advocates of liberty. Tocqueville pointed out that in democracies, the dangers of misapplied equality are not perceived until it is too late. “The evils that extreme equality may produce are slowly disclosed; they creep gradually into the social frame; they are seen only at intervals; and at the moment at which they become most violent, habit already causes them to be no longer felt.” Among the leading classical liberal philosophers and free-market economists, Friedrich Hayek wrote, “Equality of the general rules of law and conduct … is the only kind of equality conducive to liberty and the only equality which we can secure without destroying liberty. Not only has liberty nothing to do with any sort of equality, but it is even bound to produce inequality in many respects. This is the necessary result and part of the justification of individual liberty: if the result of individual liberty did not demonstrate that some manners of living are more successful than others, much of the case for it would vanish.” Thus, while radical egalitarianism encompasses economic equality, it more broadly involves prostrating the individual. Equality, as understood by the American Founders, is the natural right of every individual to live freely under self-government, to acquire and retain the property he creates through his own labor, and to be treated impartially before a just law. Moreover, equality should not be confused with perfection, for man is also imperfect, making his application of equality, even in the most just society, imperfect. Otherwise, inequality is the natural state of man in the sense that each individual is born unique in all his human characteristics. Therefore, equality and inequality, properly comprehended, are both engines of liberty (Mark Levin, Ameritopia, pp. 7-9). Utopianism’s authority also knows no definable limits. How could it? If they exist, what are they? Radical egalitarianism or the perfectibility of mankind is an ongoing process of individual and societal transformation that must cast off the limits of history, tradition, and experience for that which is said to be necessary, novel, progressive, and inevitable. Ironically, inconvenient facts and evidence must be rejected or manipulated, as must the very nature of man, for utopianism is a fantasy that evolves into a dogmatic cause, which in turn manifests a holy truth for a false religion. There is little or not tolerance for the individual’s deviation from orthodoxy lest it threaten the survival of the enterprise (Ibid., p. 10). The Obama administration pressured analysts to change an environmental review to reflect fewer job losses from a proposed regulation, the contractors who worked on the review testified Friday. The dispute revolves around proposed changes to a rule regulating coal mining near streams and other waterways. The experts contracted to analyze the impact of the rule initially found that it would cost 7,000 coal jobs. But the contractors claim they were subsequently pressured to not only keep the findings under wraps but “revisit” the study in order to show less of an impact on jobs. Steve Gardner, president of Kentucky consulting firm ECSI, claimed that after the project team refused to “soften” the numbers, the firms working on the study were told the contract would not be renewed. ECSI was a subcontractor on the project. So when Obama says he’s going to do a study, what he means is that he’s going to delay and stall and finally use manipulation and pressure-tactics and deception to fabricate a bogus “legitimacy” for his ideology and his cronyism. Putting it all together puts America out of business. Looking at the Russians as they tear the democracy out of a previously Democratic nation, it’s kind of hard to tell them apart from our liberals back home. – They both love big governments. – They are both the happiest amidst totalitarianism and socialism. – They both pretty much want the government to either manage or benefit from everything. – They both offer ostentatious and grandiose pretensions for whatever they are doing. – They both lie like crazy the whole time they’re doing whatever they’re doing. – They both don’t think very highly of allowing things to be voted on. I think they would come rolling in with tanks (after all, both communism and fascism derive from the left) if it weren’t for the fact that Barack Obama would look like a total dweeb in a helmet, and Nancy Pelosi would muss up her hair-do. American liberals probably decided to avoid tanks after the Dukakis fiasco.